The funeral has taken place of a candidate whose death led to the election in the Thirsk and Malton constituency being delayed. 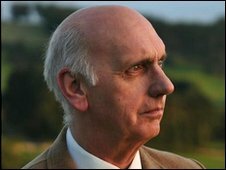 UK Independence Party (UKIP) candidate John Boakes, of Kirby Knowle near Northallerton, died last month. His funeral was held at Darlington Crematorium on Tuesday. The Thirsk and Malton election will now be held on 27 May - only the eighth time polling has been postponed because of a candidate's death since 1918. Ryedale District Council said the deadline for people to apply for postal votes was 12 May. A separate district council by-election for the Norton West Ward will go ahead as planned on 6 May. The candidates in Thirsk and Malton constituency are: Liberal Party: John Clark; Liberal Democrat: Howard Keal; Conservative: Anne McIntosh; Labour: Jonathan Roberts. The candidates for the by-election in Norton West Ward are: Conservative: Judith Denniss; British National Party: Trevor Moss; Liberal Democrat: Hugh Spencer.